Sold out here. 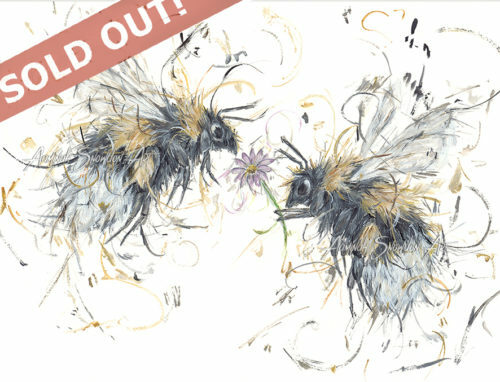 For potential stockists, please visit www.google.com and type in “Aaminah Snowdon just beecause print” and go through the website links. and Contactus Framing in Hinkley has one too. Call them on 01455 615 364. It’s the little things that count! This bumblebee has surprised its loved one with a single beautiful, small flower.Why?…well just BEEcause!